The 2018 Hyundai Kona is a new compact SUV. Kona is Hyundai’s first B-segment crossover for the US market, appealing to consumers with active lifestyles. The 2019 Hyundai Santa Fe is the fourth generation of Hyundai’s best-selling SUV. The new Santa Fe has a family-oriented interior, is loaded with practical and cutting-edge technologies, and has a bold exterior. 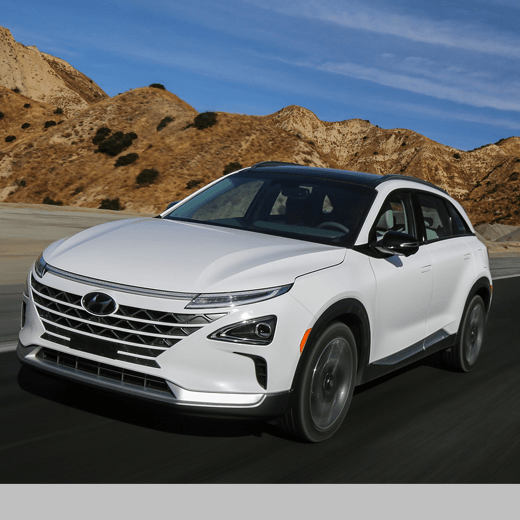 The all-new Hyundai NEXO combines the practicality of an SUV with clean advanced fuel-cell technology. This next-generation vehicle offers the most advanced technology on the market with various advanced driver assistance systems and the strongest powertrains in the segment.